In an effort to track and engage an increasingly independent and tech-dependent consumer, marketers are starting to rely on technology more than ever before. And the amount of technology available to us is pretty astounding. The challenge companies face now is how to pull all of these different channels, data, and tools together to provide a consistent and compelling experience for customers. Below read about what the marketing technology landscape looks like as we know it today, why the role of “Chief Marketing Technologist” is on the rise, and where the marketer fits into this ever-evolving environment. New tools and software solutions help marketers serve the channels they organize around: social, video, email, data, analytics, display advertising, mobile, e-commerce, and many more. But there’s a problem with this picture. How are we supposed to deliver a seamless message across all digital channels to our consumers when (a) the technology landscape we’re using to do it is so fragmented and (b) we organize around channels rather than content? 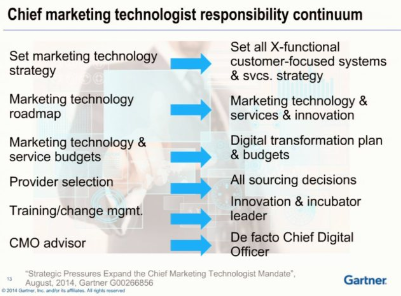 Enter, the Chief Marketing Technologist. 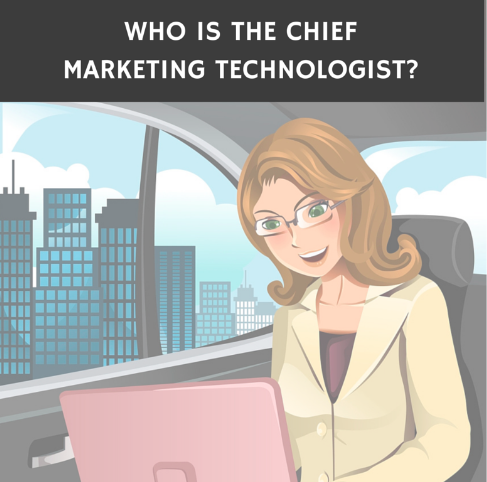 Who Is the Chief Marketing Technologist? 70% of companies already have a Chief Marketing Technologist. 70% of companies already have a Chief Marketing Technologist (CMT). Pretty soon, it will be more like 90%. This is because companies need someone to hold the reigns on marketing technology and how it interfaces with strategy. The CMT organizes and prioritizes marketing technology to bolster the customer experience, and builds the “technology roadmap” that helps them do it. Above all, the CMT helps companies become consumer-led rather than technology-led. He or she is the key lynchpin to unifying technologies across the company, and will be responsible not for just identifying which ones to invest in, but identifying how those technologies come together to deliver seamless consumer experiences. 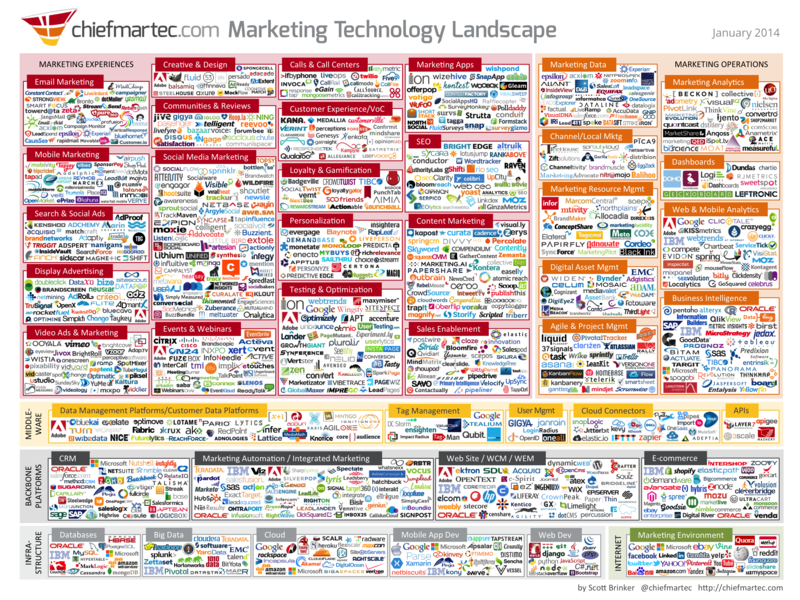 Where do marketers fit into the technology equation? Everywhere. Technology is becoming inseparable from marketing. As a result, all marketers—including you!—must adapt by becoming data literate, customer-centric technologists (if we want to be successful in our jobs). Marketers will use these integrated stacks to prioritize their customers, and provide the most personalized, unified brand experience possible. To do it well, they’ll need to become experts in the capabilities of these technologies, how to operate them, and how they integrate. And since data is at the center of the technology stack, and is essentially the language these technologies use to talk to each other, marketers will need to become data-literate, and identify what metrics to track, and what they’re saying about the larger marketing operation.